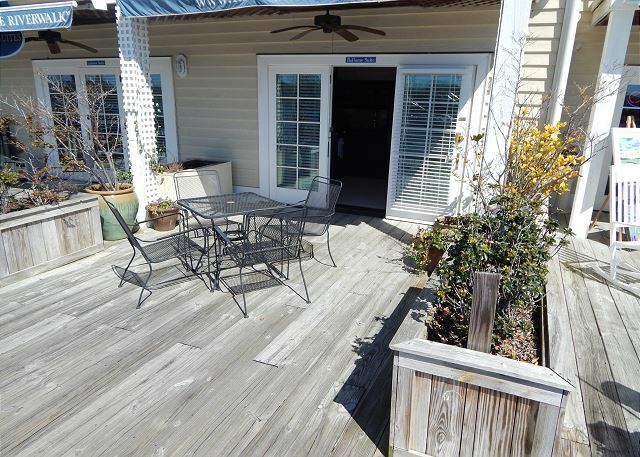 Open the doors straight onto the boardwalk! 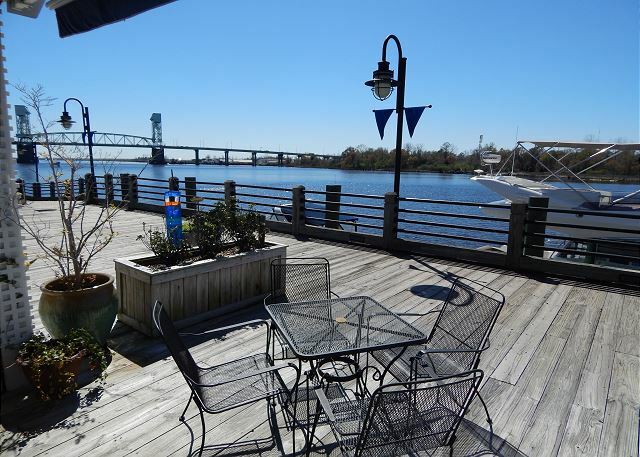 Sit out under the covered patio with a cool drink and soak up the atmosphere of historic downtown Wilmington. Or, go shopping, enjoy fine restaurants or experience the vibrant nightlife –there is always something happening in Wilmington. 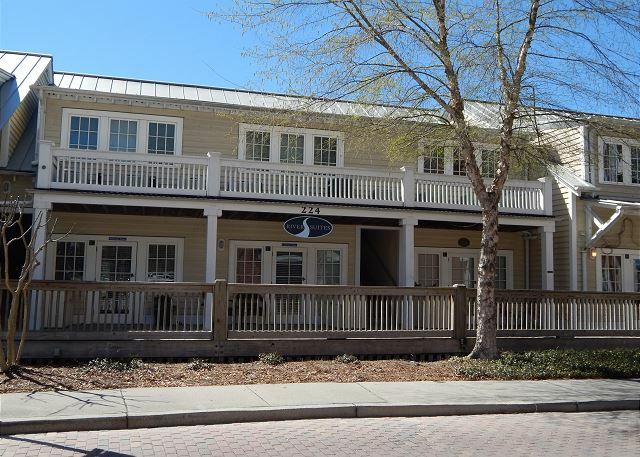 And everything is only a few minutes’ walk from this cozy 1 bedroom condo right on the Cape Fear River in the heart of downtown. Perfect for those relaxing weekend getaways or stay for as long as you like with extended rentals available. Internet, cable and dedicated parking all included. Can be rented nightly, weekly, or monthly. Free Parking Included! Call for more details. 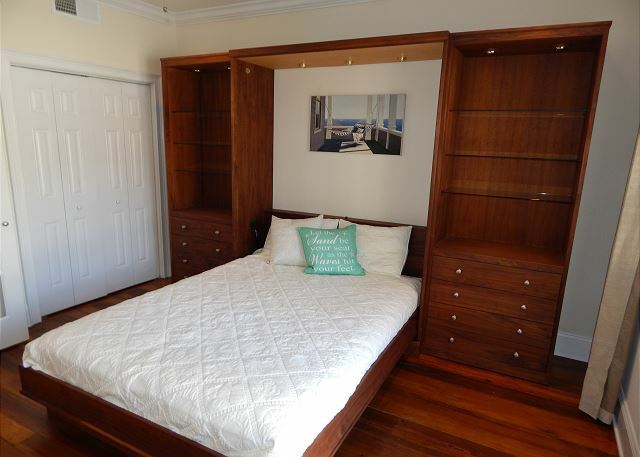 Rooms Sleeps 4, 1 bedroom has a full size Murphy bed. We've stayed here two times now and really like the place. 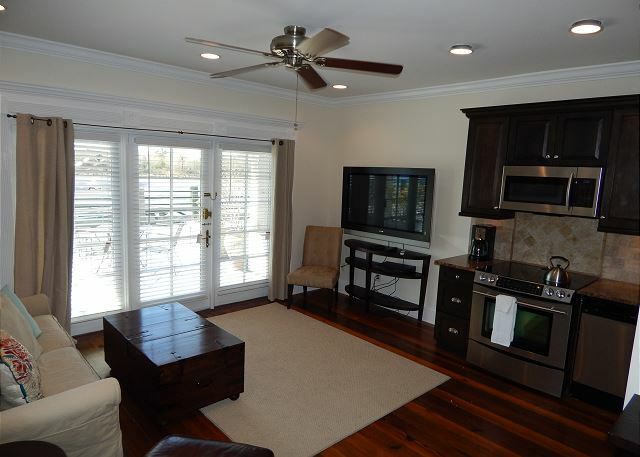 Love the location - great view, fun to watch the river traffic and walking distance to everything in downtown area. The place itself is nice - clean, comfortable, well designed space. It gets hot outside at the table on the boardwalk - the roll out awning is in disrepair - we bring a beach umbrella for the table. A note about the property management folks - check in is at 4PM (yes, 4). We called and asked for an early check in on the day of arrival - they wanted a $50 fee per hour for early arrival - I'm sure its in the contract somewhere so who can argue - but just be aware. The rental is in a great location and it is very well laid out. We enjoyed ourselves while we was there to rest and relax, however there are a few things that could be improved upon. The bed makes squeaking noises every time you move. The shelves in the bedroom was covered in dust. The jets in the tub has dirt and mold inside them along with the shower head. We had to clean both before we used the shower. Not sure what cleaning service you use but they need to do a better job of making sure things are clean before they leave the unit and when the air turns on it makes a VERY loud noise(this you might not be able to do anything about) but the other things I mention can and should be taking care of. Thank you for your review. I am sorry that you experienced this issues during your stay. Our inspection team did not mention any of these during the pre-check in inspection. We will address your concerns with the cleaning and maintenance staff today. Please feel free to contact us directly should you have any questions. Condo was small but in a great location. Well equiped kitchen but could use hangers in the bedroom closet. Condo was clean but older jetted tub needs to be replaced, mildew in jets and around tub ledges. Could not imagine anyone using the tub. 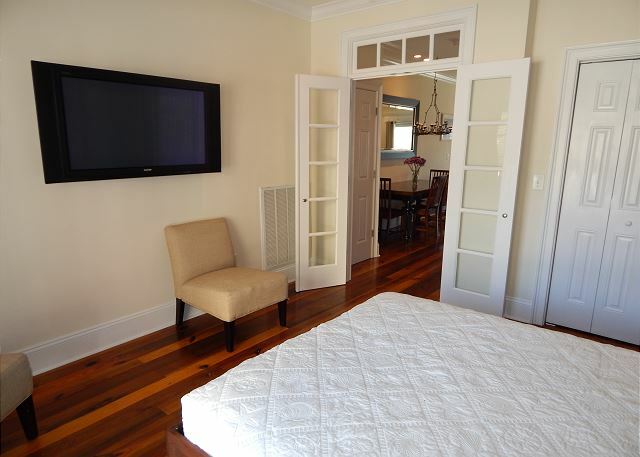 Beautiful location and perfect for our family of 3 weekend stay in Wilmington. Convenient to dining, site seeing and shopping. 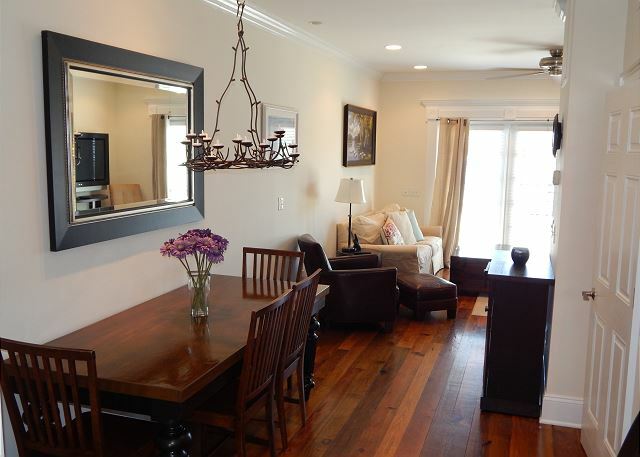 Condo was functional, fully equipped and beautifully decorated. We did use the pull out sofa bed but it was clear when we pulled it out that it had not been cleaned underneath, someone may want to check that upon the next cleaning. The master bed was very uncomfortable which was disappointing. Other than the missed area for cleaning and the master bed being uncomfortable the condo was perfect and we would return but would bring our own mattress pad/topper for comfort next go round. The space was a perfect introduction to wilmington. I am so greatful to have had this space to come home to. The property is cozy and delightful and the managers always provided great customer service. lovely stay on the River Walk. It was a rainey few days but we still had a great time. We enjoyed the condo, it was clean and comfortable. All of our needs were met and we look forward to returning before the end of the year. Perfect location, close to downtown, restaurants, etc. 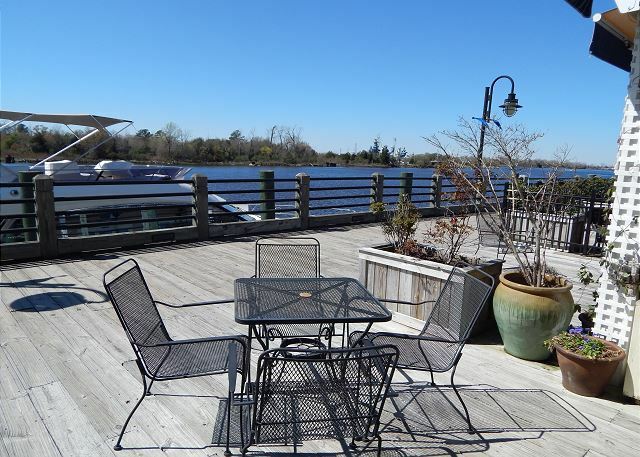 This place can't be beat for a fabulous downtown Wilmington experience. 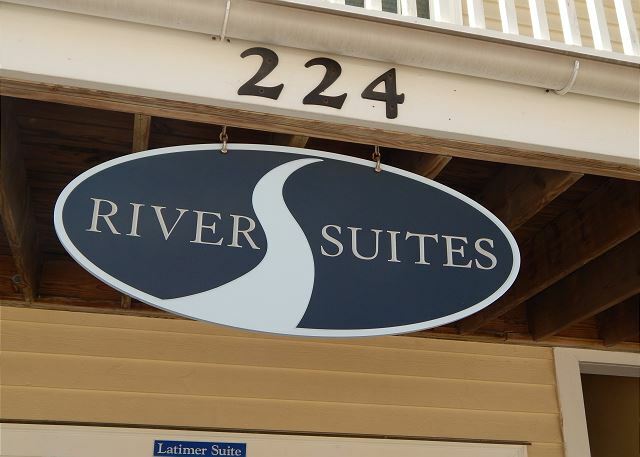 It's located right on the river walk so the view is beautiful with the convenience of being able to walk out the door and be right in the midst of downtown. This place offers free parking and it's located right across the street up the stairs so you can park your car and not have to use it again unless you are driving to the beach which is just minutes away. The interior is great with one bedroom, a pull out couch for extra guests and a kitchen that has everything you need. Love this place and will definitely be back! Happy to hear you enjoyed your stay! Come back and see us! Stayed in this great condo while in town for golf tournament. Patio door opens right onto the Riverwalk and views are amazing! Battleship in the distance and beautiful sunsets each evening. Restaurants within easy walking distance. Condo clean and upscale amenities. Kitchen not setup for heavy cooking, but I was vacationing so who cares! Very nice property on downtown on the river. Only complaint: too much foot traffic going by unit. This was a great location for 5 days. My elderly mother and aunt stayed here and enjoyed the location that was walking distance for so many restaurants. They especially enjoyed sitting on the porch enjoying the view and watching the people. We picked this condo also because it was ground floor and had a walkway with a ramp on the street side of the building. It was nice that it had parking across the street, but watch out for the parking nazis, if you leave your car for 2 minutes without the parking pass being displayed!! 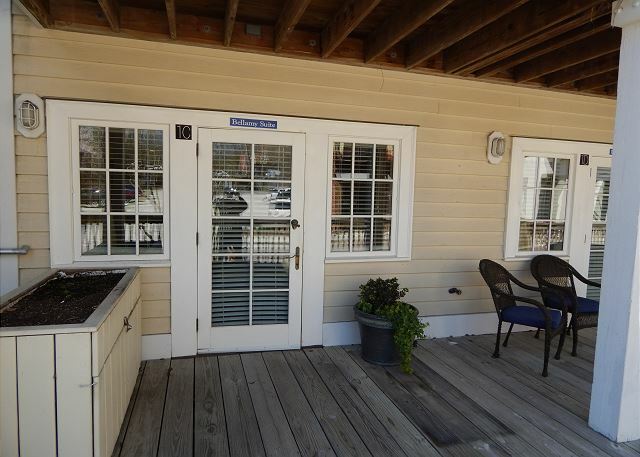 This unit is on the river walk and steps away from shops and restaurants in downtown Wilmington. We stayed for three weeks while our home was being renovated and had a wonderful experience. We enjoyed sitting outside in the evening, enjoying a glass of wine and talking to folks who walked by. This was more like a vacation. We are planning to return even though we live not so far away. We're retired and really enjoyed the vibe from the young people who attend nearby Cape Fear Community College. We can't say enough about this place. It definitely is location, location, location. Great experience! Warm weather, very accommodating staff at Wrightsville Sands. 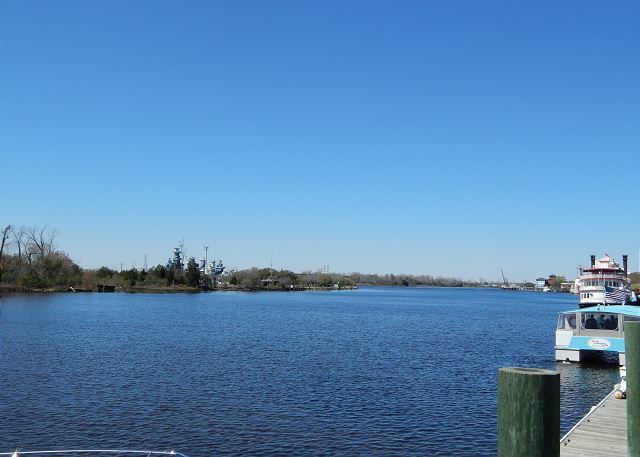 Great location right on the water and close to a wide variety of restaurants and shops. It was a lovely apartment! Great location! Loved eating breakfast and getting ready for my wedding with my girls there and hanging out on the river walk. Our daughter moved to the area about a month pior to our visit. She had seen the vrbo sign on the property and thought it would be a great location. It was. It was in walking distance to everything, bars restaurants and touristy experiences. My husband even fished off the board walk, while i shopped the quaint stores around us. The property was very very nice. It was homey, plenty of room and very well planned. Love that there was two entrances and the push button lock, no keys to mess with. Also we arrived after the property management office was closed, but they had emailed me the code and placed a information packet on the table. We had everything we needed. Can't wait to go back. My husband wants to return in at least 2 years, same condo. So happy to hear that you enjoyed your visit to Wilmington and the condo. Let us know when you are ready to come back!